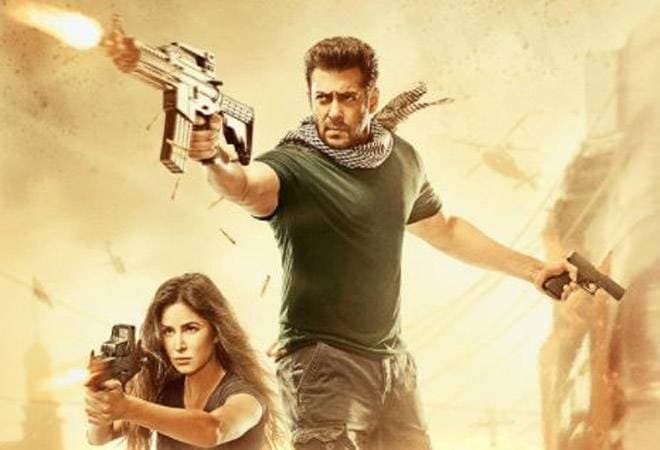 Tiger Zinda Hai box office collection: Salman Khan-starrer to cross Rs 100 crore mark on third day? Salman Khan latest box office blockbuster 'Tiger Zinda Hai' may well be on its way to be the highest grossing Bollywood movie of the year. The film is expected to garner Rs 100 crore collection on the third day after its release. The film reportedly made Rs 35.30 crore on Saturday. The sequel to Ek Tha Tiger had reportedly posted box office earnings amounting to Rs 33.75 crore in India on its first day. The box office figures until Sunday indicate that the Salman Khan's new film may rank among the highest grossing Bollywood movie this year. Considering the long weekend, due to Christmas holiday, Tiger Zinda Hai has one extra day to rake in more money at the box office. Trade analysts are seeing blockbuster potential in the movie. Film critic Taran Adarsh wrote on Twitter earlier today, #TigerZindaHai emerges BOXOFFICE CHAMPION... Shows TERRIFIC trending on Day 2… All set to cross Rs 100 cr today. #TigerZindaHai emerges BOXOFFICE CHAMPION... Shows TERRIFIC trending on Day 2… All set to cross â‚¹ 100 cr today [Day 3]… Fri 34.10 cr [updated], Sat 35.30 cr. Total: â‚¹ 69.40 cr. India biz... Biz will be HUGE today and tomorrow [Christmas]. The movie is releasing across a whopping 5,700 screens all over the world. Although it is more than Salman Khan's Tubelight and Sultan, it is still less than SS Rajamauli's epic blockbuster Bahubali: The Conclusion and Shahrukh Khan's Happy New Year. In this sequel RAW agent Tiger and ISI agent Zoya, who are married and have a child set forth to rescue 25 Indian nurses who have been kidnapped by a terrorist group in Iraq. From thereon, Tiger and Zoya burst from one frame to another by kicking and punching the bad guys. The film is directed by Ali Abbas Zafar who also directed Sultan.